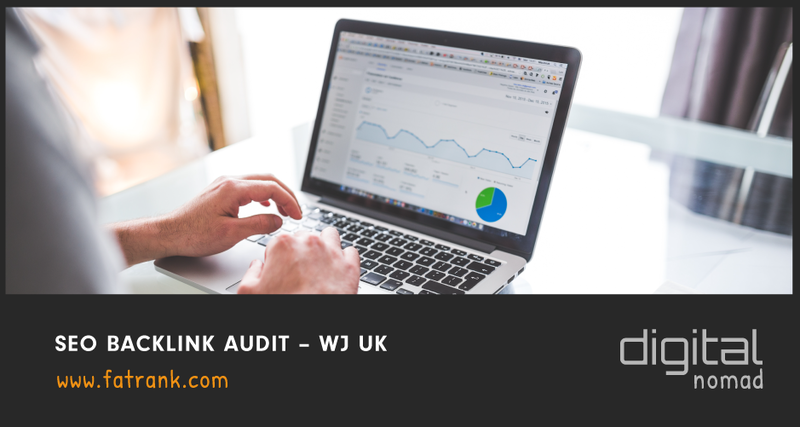 Here at fatrank we have conducted a SEO Backlink Audit for WJ UK website who are a road marking specialist business based in Newcastle. Dan found some interesting things out about why the site might be ranking where it is and explains how WJ UK can improve for the term “road markings”. 00:00 – Hi, guys. It’s Dan here, and today we’re just going to be doing a very quick link audit for the website wj.uk, more specifically looking at their car park markings page here. 00:08 – So, this is a service that this company offers within the United Kingdom. As you can see, they work in these areas up here, and it obviously a phrase looking to rank for as they’re using it in their titles, and this URL particularly is about car park markings. So, it’s definitely something this company’s looking to profit from, essentially. 00:25 – So, we’re going to have a look in Ahrefs here, which is basically a tool that kind of shows the Google rankings of certain key phrases. So, when I entered in car park markings here, you can see that it gets a current search volume of 150 people per month. That’s 150 different people, just the United Kingdom alone, that’s searching for car park markings. So, obviously, it’s a good key phrase to rank for, especially if you’re looking to provide that service across the United Kingdom. 01:04 – So, the first thing I wanted to point out really is obviously wj.uk is ranking here at number eight, which isn’t terrible, but there’s certain things that we feel would definitely help improve its current Google rankings. 01:15 – First thing I want to highlight is this little backlinks section here. We just hover over the “i.” It obviously shows how many backlinks are pointing to a given URL. So, in this case, wj.uk has only got one backlink from one referring domain going to that URL. 01:28 – If you look across the board for other sites, obviously it’s a little bit of a mixed bag. Up here, you’ve got kind of one again, one again, three. See? You’d maybe assume that one might be enough to rank you for this key phrase, but I’m going to go in to a little bit more detail and explain why that maybe isn’t the case. 01:43 – So, if we actually click through to this one backlink, let’s go in through to wj.uk, we’ll see that, obviously, it doesn’t bear any relevancy at all. I mean the key phrase is foreign text throughout the site. It’s not really relevant to car park markings at all or that industry at all. So, there really isn’t much relevancy going on with the one link that they do have, whereas some of the other sites that are ranking in Google have got much more relevant links going to them, even if it’s a lot less. 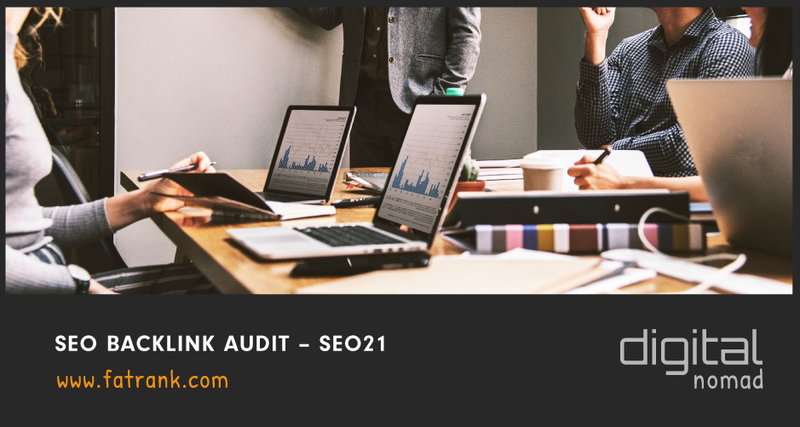 02:11 – Then, if you look at some of the other sites here, you can see that above ranking you, it’s quite daunting because they have 144 and 148 backlinks, but don’t really let that fool you because their DR hit, which is their domain rank is quite low. So, they’ve got a domain rank of 12 and a domain rank of 0. So, that domain itself really doesn’t … Sorry. These domains themselves at number six and number seven really don’t carry that much authority or power to them, whereas the current one at wj.uk does carry quite a lot of power. In fact, it carries the second most power out of all of the sites there, so that’s very promising. And that would suggest that what you really need to be doing is building more power to this inner page itself because, as you can see, the inner page itself only has got one backlink. 02:50 – So, the first thing I’d suggest to do would be to build, simply just build more backlinks to this URL because you’ve got some up here. This site has a lot less DR than wj.uk, has even a lower UR currently, but it’s got three backlinks to it, and that’s going to be carrying a lot more power to that inner page than the one backlink that isn’t very relevant … is going wj.uk. So, we feel like that’s a really good place to start really. It’s just to start building more backlinks to wj.uk car park markings URL itself. 03:20 – The second thing we’d recommend is, as I mentioned earlier, just relevancy. I mean, if I have a look at this backlink again, you can see there’s no relevancy to the key phrase, whereas if you had links going from maybe a council blog a residential area’s blog or maybe something from the automotive industry, something along those lines that’s much more relevant to car park markings than something that’s from a Russian site maybe or something that just bears little to no relevance at all. 03:47 – So, we’d recommend really that the key thing to be doing with this one would just be to be building a few more backlinks to it, maybe three or four or five maybe even backlinks that actual URL of car park markings and ensuring that those backlinks that you’re building are super relevant. So, ones that are, like I said, maybe about a residential area or something to do with vehicles, something along those lines that’s much more kind of niche specific if you will rather than what we have currently. 04:14 – So, that’s kind of it, guys. That’s what I’d recommend for this site to kind of push that key phrase up to where you want it to be. Thanks for watching, and I’ll see you guys later. Prioritise getting some more niche relevant backlinks to establish your authority. Look into getting some guest posts which are niche relevant to your company through QOQ. Buying some social blasts for pages with no social signals at them. Don’t worry if you don’t see your site rank straight away after following these steps, it will fluctuate different rankings due to the random ranking factor. Once it has been a few weeks and you notice a difference in rankings, then you should start focusing in on other keywords you wish to target.